HDLI has found that Hyundai and Kia vehicles have a much higher than average risk of non-crash fires. An analysis by the Highway Loss Data Institute (HDLI) indicates that certain Hyundai and Kia vehicles have a higher rate of non-crash fires than vehicles in general. The Institute found that Kia and Hyundai vehicles with the 2.0-liter gas-direct-injected-turbocharged engines had 4.2 claims related to non-crash fires per 10,000 insured vehicle years — compared with 1.7 for the control vehicles. HDLI also found that Hyundai and Kia models with a 2.4-liter engine also had an elevated non-crash fire claim frequency of 2.7. In contrast, Hyundai and Kia vehicles with a V6 3.3- or 3.5-liter engine had about the same rate of fire claims as the control group. HDLI started the research in June after the Center for Auto Safety (CAS) petitioned the National Highway Traffic Safety Administration to investigate potential defects in Kia Optima, Kia Sorento, Hyundai Sonata and Hyundai Santa Fe vehicles from certain model years. The CAS felt that there was an unusually high number of reports of fires. This prompted HLDI to look at the insurance claims related to fires for those vehicles. 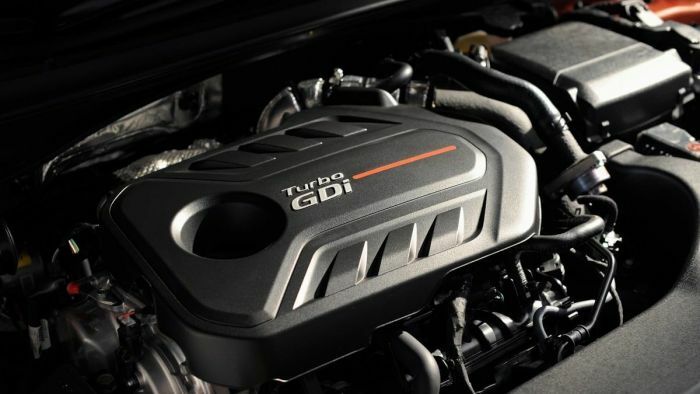 What may be most concerning for owners, is that HDLI concluded, "For vehicles with the 2.0-liter turbocharged and 2.4-liter engines, fire risk went up dramatically as the vehicles aged." The vehicles included in the study have had engine recalls in the past to correct issues that could cause fires. Presently, the folks at NHTSA are not working at full capacity due to the partial government shutdown, now in its second month. Rather than wait for the government to catch up with this issue, HDLI reports that Hyundai and Kia are going to proceed with a new recall related to this issue without NHTSA having required it. Hyundai Spokesperson, Michael Stewart told AP, "Hyundai actively monitors and evaluates potential safety concerns, including non-collision fires, with all of its vehicles and acts swiftly to recall any vehicles with safety-related defects." Read a more detailed report on this topic at the IIHS and HDLI homepage.